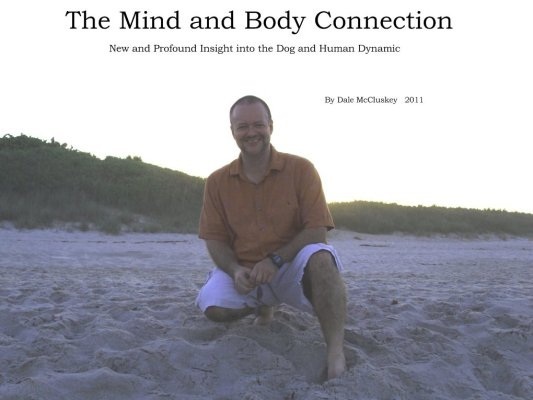 Within my book, The Mind and Body Connection, I reveal the results of an 18 year study involving over 1000 dogs and owners. The focus of this study was on the effectiveness of the relational vs learning based model on influencing a dog's decision making process. The results were consistent, predictable, reliable and verifiable based on approaching training as an intervention within the framework of the relational model. Dogs and owners who experienced limited results within the learning based model (451) responded positively within the framework of the relational model. One of the critical issues this study exposes is in regards to response, motives and the type of influence happening between dogs and owners. What this study reveals is that appearances can be deceiving and response does not always represent a like minded state or that relational change is happening between dogs and owners. Dogs can go through the motions of training even while continuing to objectify the dog owner. Response must be qualified and be put into proper relational context . Using motivating agents such as treats and clickers greatly elevates the risk of failure between dogs and owners based on what this ideology represents vs approaching training as an intervention. Additional information regarding this study is in my book The Mind and Body Connection. Alpha Theory;Why it doesn't work (2010). Bradshaw, John. (2009). Dominance in Domestic Dogs-Useful construct or bad habit? Cherry, Kendra. (2010). The Four Styles of Parenting, About.com Guide, Psychology Coren, Stanley. (2010). Obtaining Status, Rather Than Enforcing Dominance Over Dogs: A Positive Program, Psychology Today. Derr, Mark. (2006). Pack of Lies. Dictionary.com, "influence," in The American Heritage® Dictionary of Idioms by Christine Ammer. Source location: Houghton Mifflin Company. Behavior. 125, 283-313. Dodman, Nicholas (2010). Ethology: The Study of Animal Behavior. Dunn, Ellen (2010). The Parent and the Pendulum Fact-index.com (2011) Animal Cognition. Frijda, Nico (2000). The influence of emotions on beliefs. University Press, Cambridge. Hackbarth, H. (2008). Comparison of Stress and Learning Effects of Three Different Training Methods: Electronic Training Collar, Pinch Collar and Quitting Signal. Hannover Univ. Kelly, Lee Charles. (2009). Of Mice and Mutts; Why Behavioral Science is Losing the Training Wars. Lockman, Darcy. (2010). Rehabilitate Your Reactive Dog, The Dog Daily. Mech, L. D. (2008). What Happened to the Term Alpha Wolf? International Wolf, Winter 2008, pp. 8 Mech, L. D. (2010). Alpha Status, Dominance, and Division of Labor in Wolf Packs. Ogburn, Philip (1998). Comparison of behavioral and physiological responses of dogs wearing two different types of collars. University of Minnesota, Department of Physiology College of Veterinary Medicine, Cornell University. Perry, Gaille. (1992). Aggression in Dogs: A Complete Review. Plataforma SINC (2009). Dogs Are Aggressive If They Are Trained Badly. Remote (2010) Examining our opinions about dog training and other things. Ryan, David. (2010) Why Won't Dominance Die? Sands, Jennifer. (2002). Social dominance, aggression and faecal glucocorticoid levels in a wild population of wolves, Canis lupus. Department of Ecology, Montana State University. Sizer, Sally (2010). Calming Signals in Dogs. University of Bristol (2009). Using 'Dominance' To Explain Dog Behavior Is Old Hat. Welfare in Dog Training. (2010) What's Wrong with using 'Dominance' to Explain the Behavior of Dogs?